rarest kitty in the world - too beautiful for its own good? 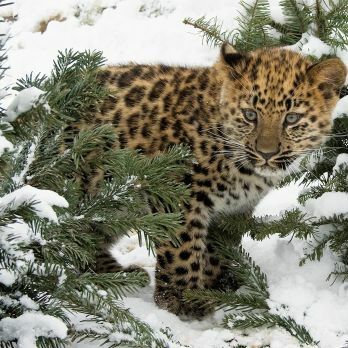 Amur leopards are relatively easy to distinguish from other leopard subscpecies because, in order to survive the long cold winter, they have a soft coat with long and thick hair. This gives them a fluffy and extremely aesthetically pleasing appearance - just look at them! Their beauty has been both a curse and a blessing. Their gorgeous coats have made them poached to such an extent that, ten years ago, only about 20 of them were still to be found in the wild. 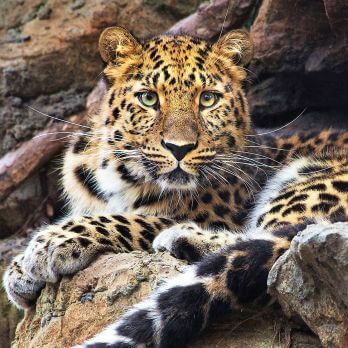 At the same time, their charisma has made them popular in zoos or as vanity "pets" and has raised the interest in saving them from extinction. For the past ten years, their numbers have been climbing slowly. There are about 50- 60 cats living in the wild today.